There are now many spas in Paris. 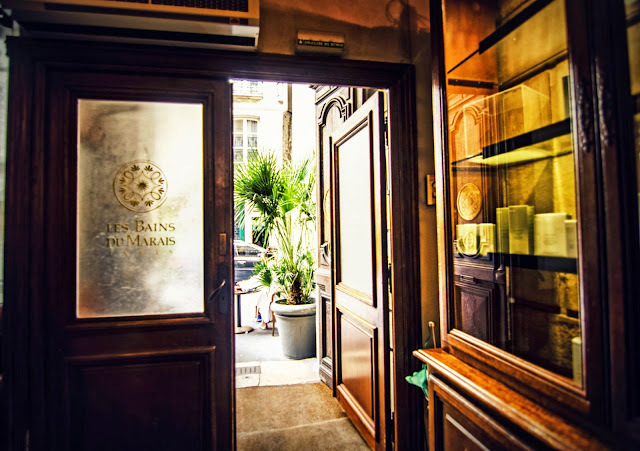 I'm not talking about hammams, like the most famous one at the big Paris Mosque, but real spas, like this very famous one in Le Marais, precisely called Les Bains du Marais. Very cosy, beautiful, and, of course, relaxing, it's a real nice place to take a break from the busy streets of Paris. Avoid weekends if you want to try it for it's really busy. I love spas, I love massages. It would be so much fun to be pampered in Paris. Eric, does the expression "All work and no play makes Jack a dull boy" exist in French? It must! Spas are a perfect antidote to a dull rainy day!